This month we're talking with reality TV star and Vanguard Pro Staffer Justin Martin from Duck Commander. Justin describes himself as a "God fearing, duck killing" guy who happened to end up on one of the most popular TV shows on the air. 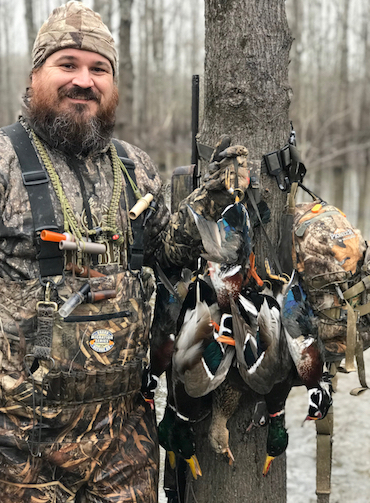 He describes how he got started with the Duck Commander crew and what it's like to work with the Robertson family. Martin also talks about his relationship with Vanguard and why he doesn't hesitate to endorse their products.